WGN, Tribune’s independent station in Chicago, is marking its 70th anniversary with a bold, gold logo. Longtime meteorologist Tom Skilling will host an hour long special marking the station’s anniversary on April 5. The glyphs in the numeral are highly geometric — perhaps a nod to the art deco and related movements that were popular at the time of the station’s founding. 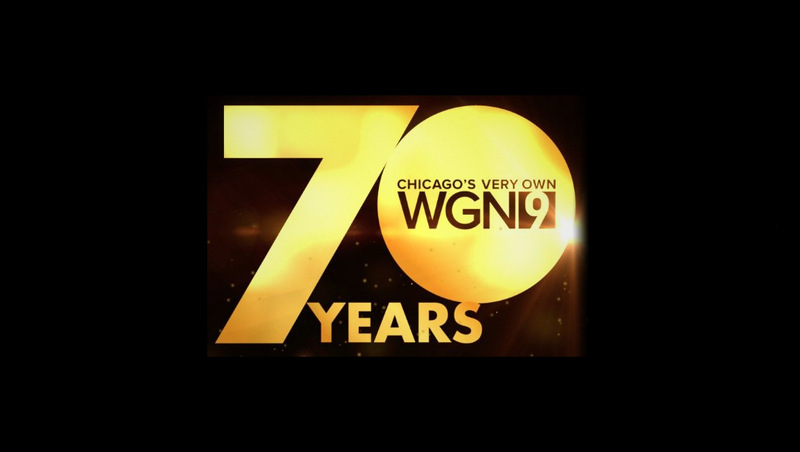 WGN redesigned its logo in May 2017 along with the debut of a new set and graphics. Founded by the Chicago Tribune newspaper (its call letters “WGN” stands for “world’s greatest newspaper”), the station went on the air April 5, 1948. The station originally aired from Tribune Tower in downtown Chicago, but moved to the city’s North Center neighborhood in 1961, where it remains today. In 1978, the station became a “superstation” after its signal started being distributed via cable. In 1990, it launched a separate national feed. The station was a WB affiliate from 1996-2006, then changed to the CW until 2016 when it became independent again.